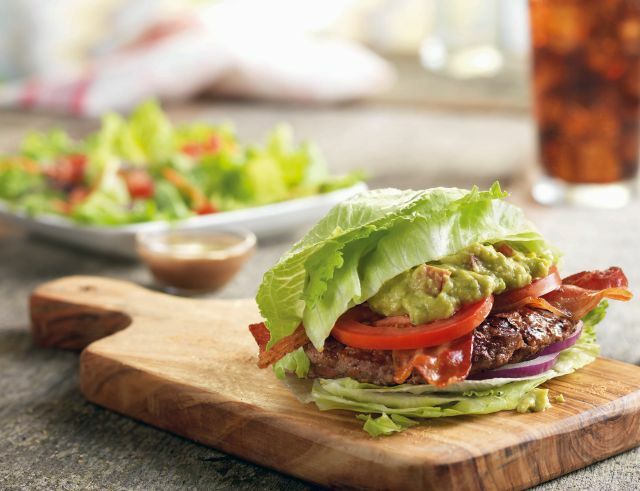 Red Robin aims for those with "eat healthier" New Year's resolutions by launching the 450-calorie The Wedgie Burger. The bunless, low-carb burger features a 6-ounce beef patty, bacon, guacamole, tomato, and red onions nestled inside of a wedge of lettuce. Instead of bottomless fries, it comes with a side salad by default. The Wedgie Burger is available for a limited time through February 7, 2016.